Moments earlier, while presiding at the Sept. 4 blessing ceremony for Cristo Rey’s new Academic and Science Wing, the cardinal had remembered standing in mud years earlier at the spot where the new science labs are now. The new wing at Cristo Rey, with 15,000 additional square feet of space for the school, includes chemistry, biology and physics labs; a computer lab; five additional classrooms; a counseling center for students; and a resource room for faculty and staff. This fall, Don Bosco Cristo Rey High School achieved two other milestones, as it welcomed its largest-ever freshman class of nearly 150 students, among its overall record enrollment of nearly 400 young women and men from throughout the Washington area. Cardinal Donald Wuerl blessed the new Don Bosco Cristo Rey High School in Takoma Park when it opened in 2007, and he also blessed a new wing in 2010 there that included a library and administrative and student support offices. 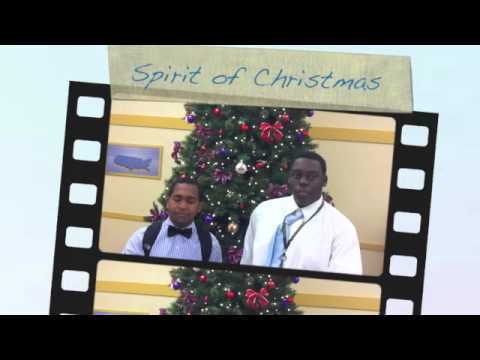 The Catholic high school, cosponsored by the Archdiocese of Washington and the Salesians of Don Bosco, helps students work toward their dreams by participating in an innovative corporate work study program, where they gain professional experience and help earn the majority of the cost of their education through their jobs. Guests at the ceremony were welcomed by Larry Savoy, the school’s principal, and those on the stage included Father Thomas Dunne, the provincial for Salesians in the eastern United States and Canada; and Robert Easby-Smith, the chair of the Board of Directors for Don Bosco Cristo Rey High School. Four large banners on the stage depicted the school’s patron saint, St. John Bosco, the founder of the Salesian order, a man known for his joyful faith who championed providing educational and work opportunities for youth. Salesian Father Steve Shafran, Don Bosco Cristo Rey High School’s founding president, thanked the archdiocese and the Salesians for taking the risk to start a new Catholic high school that provides educational and work opportunities to students from low-income families who would otherwise not be able to afford a Catholic education. 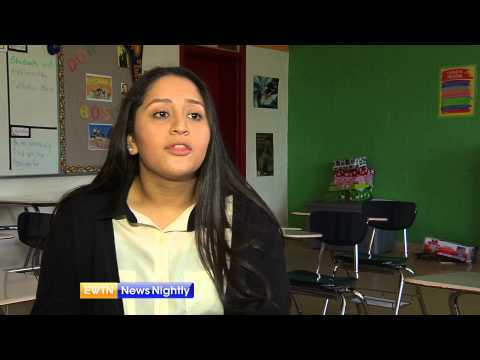 Many of its students come from immigrant families, and 83 percent of Cristo Rey’s class of 2013 were the first generation in their families to attend college. 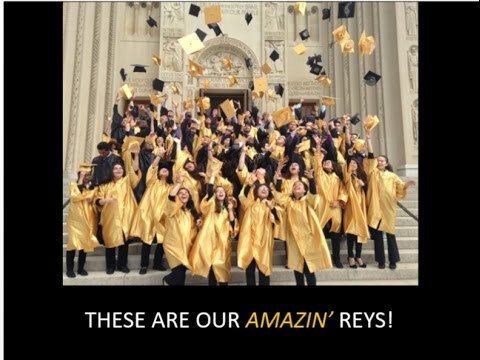 Cristo Rey has a 100 percent college acceptance rate for its first four graduating classes. “A miracle has risen before our eyes… The real builders are you, and our students,” Father Shafran said, expressing thanks for the generosity of donors and the support of Cristo Rey’s corporate partners, who include about 90 leading Washington-area businesses, educational institutions, government agencies, hospitals and health centers, law firms, non-profit agencies and scientific, technology and engineering institutions. “We are learning with strong faith, everything is possible,” Father Shafran said, pointing out how the school grew while weathering a severe nationwide economic downturn in its early years. The Cristo Rey educational experience is transformational for the students, and for all those involved in it, the priest said. That point was later echoed by Tim Flynn, the owner and president of the ImpactOffice products company in Beltsville and Cristo Rey’s first board chair, who stood proudly with his wife Patti in one of the new classrooms. “There’s ne question the opportunity this school provides would never be available to many of these students,” said Flynn, who is a corporate partner with the school. “As good as it is for the students, it’s equally good at the businesses they work at. The coworkers get a lot out of seeing the progress and being a part of the growth” of the students, he said. Guests at the blessing ceremony toured the new facilities, which include the Carlyle Computer Lab, sponsored by the Robert and Kate Niehaus Foundation and the Carlyle Group. The lab includes 30 new laptop computers that fold into the desks. Next door in the biology lab, teacher Amanda Gaal, standing not far from a model human skeleton, said the facilities will help give students “an amazing foundation” in science. “This facility can be used for state-of-the-art labs. There’s no limit to what we can do here,” she said. In the chemistry lab, teacher Michael Ferguson said his goal was “to find students in class who have a passion for science, and enable them to maximize their time here,” and for all students, to show how chemistry “is relevant to everyday life” related to issues like nutrition and the environment. “It’s a tremendous facility,” he said. Senior Jajuan Moorer, who has been working at Georgetown University during his four years at Cristo Rey, said he was thrilled at his school’s new facilities. “For me, I’m a science guy!” he explained, adding that he hopes to major in biology or biochemistry in college. Fellow Cristo Rey senior George Salamanca, who works at the Winston & Strawn law firm in Washington, now is taking an anatomy and physiology class in the school’s new biology lab. “Now I need orientation. I get lost sometimes” in the new wing, he joked. Don Bosco Cristo Rey High School in Takoma Park is one of 28 Catholic schools in the nationwide Cristo Rey Network, which serves 9,000 students in 27 cities in 18 states and the District of Columbia. The network’s two newest schools opened in recent weeks in Atlanta and in San Jose, Calif.